Bubba Watson will be the defending champion, defeating Louis Oosthuizen on the second playoff hole to capture the green jacket and his first Major victory. And with the Masters less than a month away, it’s difficult not to look forward to it and start wondering which players will contend at Augusta National Golf Club. Sure, there is still this week’s Tampa Bay Championship to play, and then several events after including the Arnold Palmer Invitational next week followed by stops in Texas. 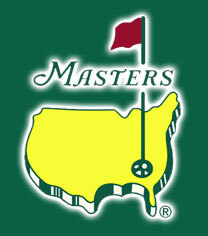 But this is the Masters we are talking about, arguably the biggest tournament in the world. The Masters is truly unlike any other event in golf. And what’s really cool about this season is that the top players in the world are all paying great golf. Tiger Woods has already won twice, and by the time the Masters rolls around he would have chased down Rory McIlroy at the top of the World Golf Rankings. McIlroy struggled to start the season, but rebounded nicely last week to finish in the top-10, shooting a 7-under 65 on Sunday. American golf has really been doing well this season, having won every tournament on the 2013 PGA Tour circuit. That is really a surprising statistic, but one that U.S. players should be proud of. But when it comes to the Masters, there are a host of international players who look to have a great shot at winning the green jacket. This is about the time that golfers are hoping to peak, as they lead into the first Major championship of the year. Each week from here on is very important both from a physical standpoint, and a mental one. Having confidence going into Augusta. It’s too early to mae a prediction, though it will be hard to pick against Woods. He hasn’t won the Masters since 2005, but this looks like it could be a really good opportunity to do so.